It’s not a coincidence that Italian race cars are red. Since the early days of racing, national race teams identified their nationality by their colors. Obviously Italian Cars are Rosso Corsa or ‘Race Red’. Alfa Romero, Maserati, Ferrari and Lamborghini national race teams will be painted red, While English cars will be British Racing Green and German cars are Silver or White US Race teams race in White and Blue colors these are the color established by the FIA. The Fédération Internationale de l'Automobile (FIA) represents the interests of international motoring organizations throughout the world and represents 125 countries and oversees the Formula One and World Rally Championships. 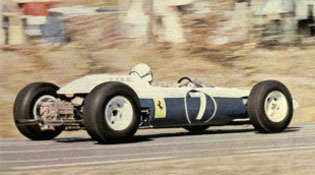 While the FIA designates these colors the colors are representative of the teams nationality not the car manufacturer. So you won’t see an American team racing a Red Ferrari, they’ll be in White w/Blue stripes.